The relationship between a tyrannical pastor and his wife is tested by the arrival of a delinquent into their care. Lewis is truly awful here, but it's Riseborough's bewildering accent that really derails the film as we attempt to figure out where the hell her character is meant to be from. The script's stubborn refusal to clear this up makes her character the film's most infuriating element. 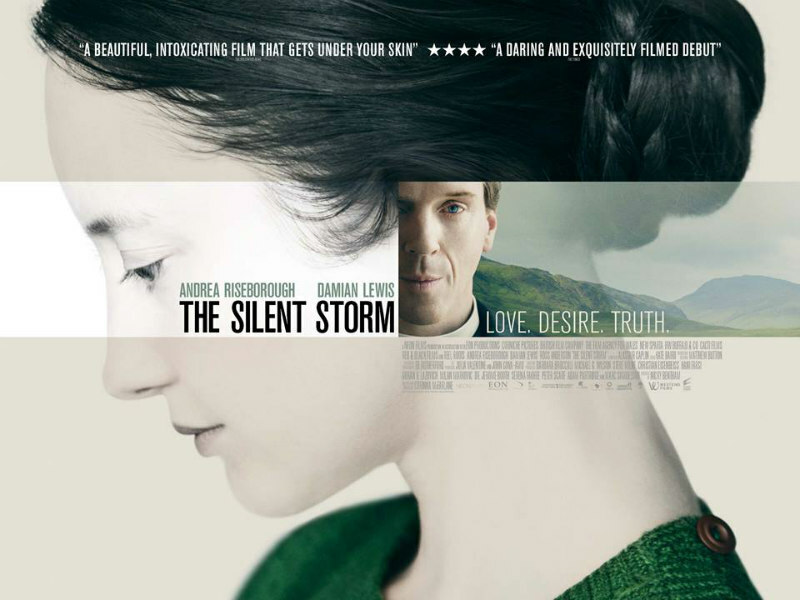 The usually outstanding Damian Lewis and Andrea Riseborough are uncharacteristically awful in this clichéd, baffling and over the top drama of marital discontent on a remote Scottish island some time after World War II. Or is it World War I? 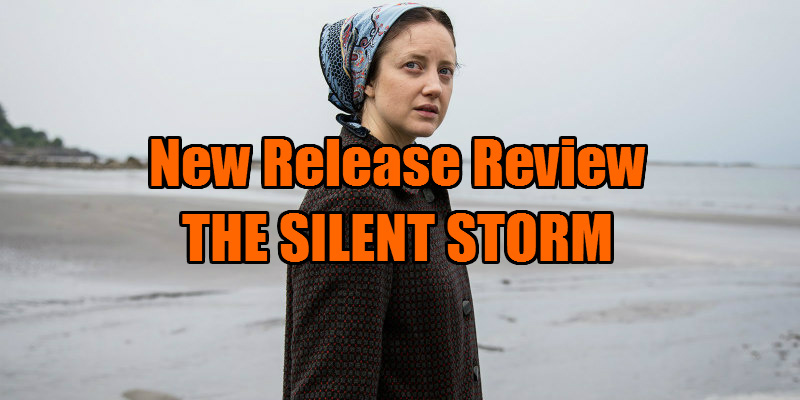 The Silent Storm raises such questions thanks to a script that manages to be both overbearing and annoyingly ambiguous. 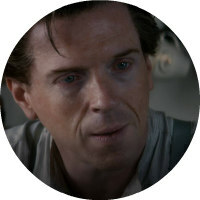 In the opening shot, the camera completes a circular track around Damian Lewis's presumably Presbyterian pastor, Balor, as he clutches a bible, repeating incantations. It doesn't take a genius to guess that he's going to be the villain of the piece, and when the camera travels upstairs to spy on his young wife Aislin (Riseborough) enduring a beautifully lit miscarriage, we know things aren't going to develop well between the two. Balor is one of those cartoon religious patriarchs - somewhere between The Wicker Man's Edward Woodward and the evil father Peter Mullan played recently in Terence Davies' own Scottish period drama Sunset Song - and Lewis literally chews the scenery, tearing off chunks of bread as he spews Christian rage at his wife, occasionally resorting to physically aggression with the woman he views as an evil presence in his home. His reign of terror is tested by the arrival of a young offender from Glasgow, Fionn (Ross Anderson), sent to stay with the couple in the belief that all he needs is some old time religion to set him straight. When Balor sets sail for a five day trip to the mainland, Fionn and Aislin immediately start making googly eyes at one another, the latter won over by the former's poetry books, the presence of which of course Balor forbids in his house; he's got a book of his own and needs no more. Lewis is truly awful here, but it's Riseborough's bewildering accent that really derails the film as we attempt to figure out where the hell her character is meant to be from. At first I assumed Scotland, but then strains of an Irish brogue crept in, while for much of the second half of the film she appears to be attempting a Polish accent. There's reference to her character having been brought to the island by her husband, but that doesn't give us any answers - did she come from the Scottish mainland, from Ireland, or did he meet her on the continent during the war, unlikely given her very Celtic name? The script's stubborn refusal to clear this up makes her character the film's most infuriating element. The presence of a genuine Scot in the Anderson (the only one to emerge with intact dignity from this debacle) makes the casting of the English Lewis and Riseborough all the more jarring. It's easy for secularists to laugh at the amateurishness of the recent wave of American Christian movies finding success at the US box office, but The Silent Storm proves that the other side can be just as ham-fisted and mean spirited. Set in the last time and place Christianity was relevant to white people in the UK, Corinna McFarlane's attack on religion seems pointless, particularly so when her script utterly fails to add anything remotely original to the scenario or any insight to the discussion. Religion still has a negative impact on women's lives today - see the recent Catch Me Daddy and Wadjda for two impressive examples - so why McFarlane returns to '40s Scotland, rather than say a contemporary drama about an Irish girl's attempts to have an abortion or an African immigrant facing the prospect of genital mutilation, is baffling. Perhaps this is a celebration of how far secular Britain has come, in which case why dwell on the dark days of the past in such dour fashion? More likely it's a simple case of jealousy of others' suffering from a position of privilege.